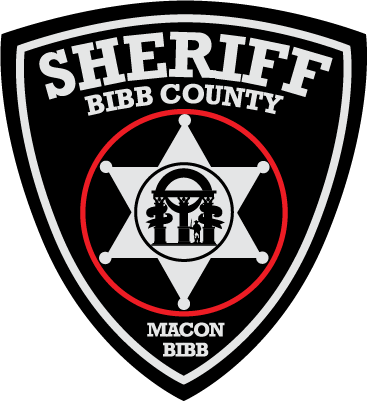 Sheriff David Davis is a lifelong resident of Macon-Bibb County and began his career at the Bibb County Sheriff’s Office in December of 1979. He is a graduate of Central High School and Macon State College and attended Georgia State University and the University of Virginia. Davis is a graduate of the 212th session of the FBI National Academy. He was first elected Sheriff of Bibb County in November of 2012. He was re-elected to his second term in November of 2016. Sheriff Davis has implemented several significant community initiatives during his time in office. These include the CHAMPS Program in the schools and the Safety Walk program in neighborhoods throughout Macon-Bibb County. He has guided the successful merger of the Bibb County Sheriff’s Office with the Macon Police Department. In 2015 the sheriff’s office achieved Georgia State Law Enforcement Certification through the Georgia Association of Chiefs of Police. In 2017 the sheriff’s office was recognized as the Agency of the Year by the Georgia Chapter of the FBI National Academy Associates. Sheriff Davis’ duty assignments throughout his career have given him experience in all aspects of a full service sheriff’s office, from corrections to patrol to investigations and to special operations. In 2007, Davis was appointed Chief Deputy of Law Enforcement Services for the Bibb County Sheriff’s Office. In this position, Davis set the priorities and policies for the patrol and criminal investigative functions of the office. Sheriff Davis has specialized training covering various aspects of law enforcement including community policing, crisis intervention, interpersonal relations, media relations, forensics, hostage negotiations, and management of law enforcement personnel. Sheriff Davis is a member of the Georgia Sheriffs’ Association, where he serves on the Standards and Training committee, The Georgia Association of Chiefs of Police, the FBI National Academy Associates, the Peace Officers Association of Georgia, the Fraternal Order of Police, the National Sheriffs’ Association, the International Association of Chiefs of Police and the American Jail Association. Davis is also a member of the Exchange Club of Macon. Sheriff Davis’ wife, Lili, is Advertising/Publications Manager for the Georgia Farm Bureau. His daughter, Heather, is a graduate of Mercer University and works as a lab scientist for the Georgia Environmental Protection Division. The Davis family are members of the First Baptist Church of Christ in Macon. If you would like to contact Sheriff David Davis, please click here to email him directly.